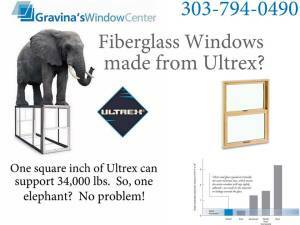 Why choose Gravina’s Window Center? When considering your replacement window options, FIBERGLASS may not be the material that immediately comes to mind. We think the more you learn about Infinity from Marvin fiberglass replacement windows, the easier your decision will become. Fiberglass represents the cutting edge in window technology. The use of fiberglass as a material in replacement windows is a rapidly growing trend that continues to gain momentum. It is predicted that fiberglass will be the next big wave in the window market, and today, fiberglass is where vinyl was 25 to 30 years ago in market share. Its benefits of high strength, light weight, exceptional thermal performance, dimensional stability, low thermal expansion and contraction, chemical inertness, maintenance free life cycle and environmental friendliness (Green attributes) make it the ideal window frame material.